Written by John Jennings on March 29, 2018 . Posted in History. Come Join Us For Firkin Fridays! What are “Firkin Fridays”? First, what is a “firkin”? a small cask used chiefly for liquids, butter, or fish. a unit of liquid volume equal to half a kilderkin (about 11 gallons or 41 liters). This beer is made with Williamette Hops and accented with our own Hideaway Ranch Cascade Hops. A tribute to Bedford’s role in the Underground Railroad: Under the direction of John Fidler, Elias Rouse or Joseph Crawley, who would arrange for the safe transport of passengers to the Quaker settlement or to the Blair County line. Come visit us at our store located inside of Fat Jimmy’s Outfitters in Bedford, PA. And don’t forget to visit our shoppe and purchase your custom OldeBBC gear! Written by John Jennings on March 14, 2018 . Posted in Uncategorized. We were so encouraged by the great turnout for our ribbon cutting on Tuesday, March 6th. Well over 100 people attended the event and opened up Bedford’s first microbrewery in style! We look forward to seeing you soon. Enjoy the video of our opening ceremony. Written by John Jennings on October 26, 2017 . Posted in Uncategorized. 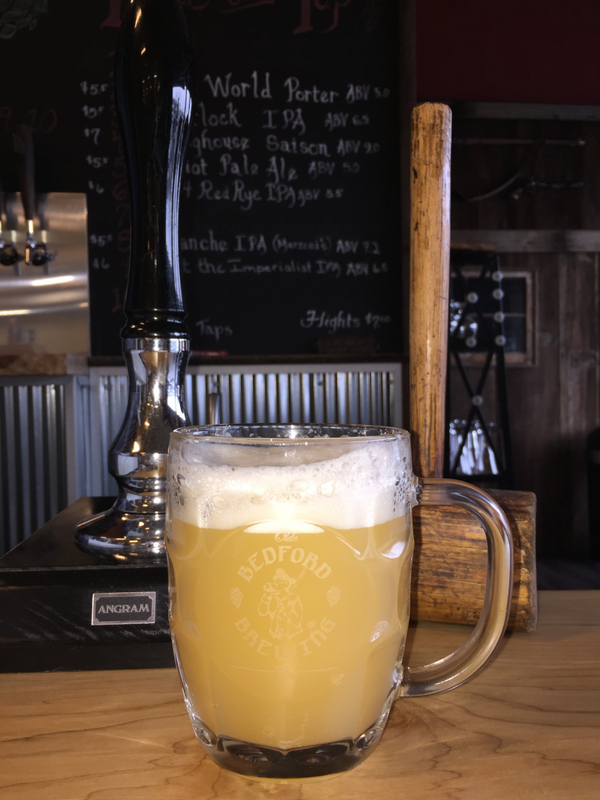 In their October/November 2017 Issue, Mid-Atlantic Brewing News spotlights Olde Bedford Brewing Company’s plans to open soon in Bedford, Pennsylvania. The article, entitled “Resuming the Rebellion”, spotlights the unique partnership between OldeBBC and Fat Jimmy’s Outfitters. The two businesses joined forces this year to offer a unique business model. They also believe this will resonate with patrons of both businesses. 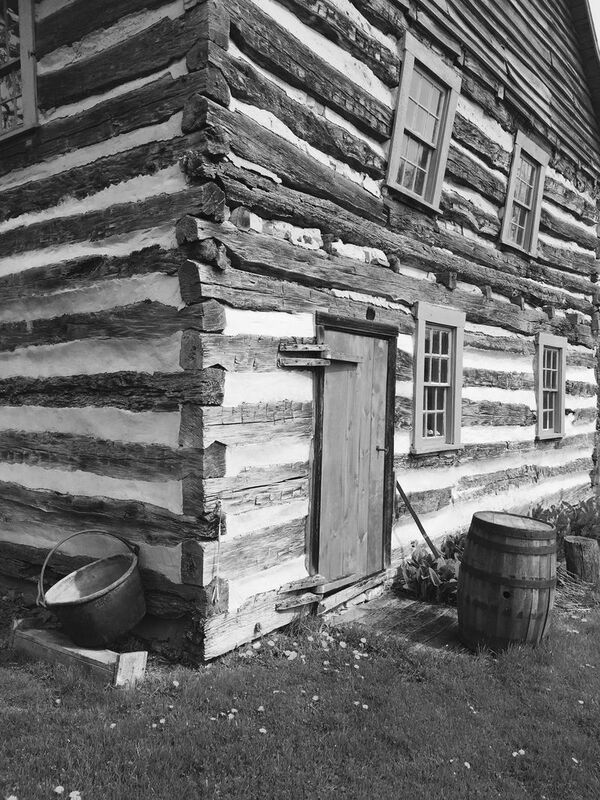 The article touches on the historical significance of Bedford, and its place in the history of the Whiskey Rebellion in 1794. George Washington (a brewmaster of his own right) used the Espy House, at 121 E. Pitt Street, as his headquarters when he and the United States Army marched into Pennsylvania to put down the rebellion. Olde Bedford Brewing Company taps into this history with our slogan, “Join the Whiskey Rebellion,… Drink Beer!”. Owners David and Mary Heller plan to use spring water from their farm, “Hideaway Ranch”, on Blue Knob Mountain. They also grow their own award-winning hops, which has received much attention from agriculture experts in the state. OldeBBC plans to open its doors in early 2018. The ten-tap brewpub will occupy a portion of Jimmy Fungeroli’s sporting goods business. Additionally, he brew pub will feature rustic decor and will continue to play on the theme of the town’s historic relevance in the whiskey rebellion and other early American history. Check out items available in their store. Bedford, a town of 2800, is the county seat of Bedford County, PA. The Hellers are native of the area and are seeing their dream of opening a brew pub come true this year. Most of all, as the first brewery ever to sell beer in Bedford, we are excited to build a new legacy for our great town. Click here to go to the article in the Mid-Atlantic Brewing News October/November 2017 Issue. Written by Olde Bedford Brewing Company on July 4, 2017 . Posted in History. On this Independence Day, we want to honor our country’s first President and Brewmaster. Everyone knows George Washington as one of our nation’s founding fathers, General of the Continental Army, 1st President of the United States of America. He was also a farmer, entrepreneur, land owner, surveyor, distiller and yes, brewmaster! 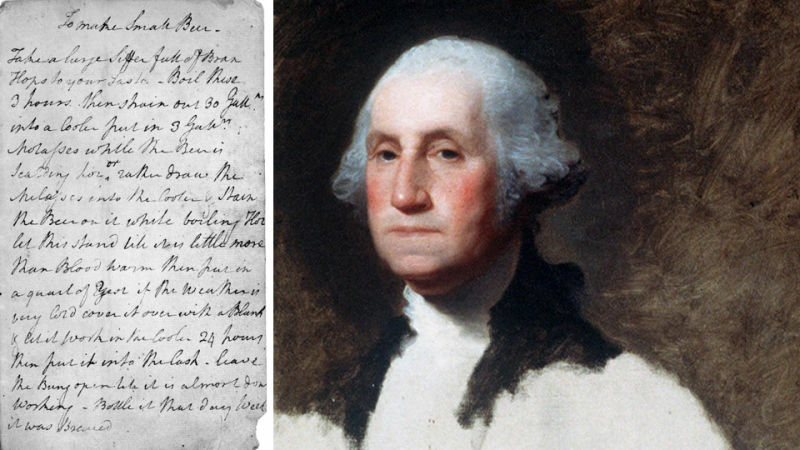 George Washington was a true lover of beer. He especially enjoyed a good porter. This dark, English-style beer would have normally been purchased from Great Britain, but as president, he felt it was not appropriate to buy from them. Hence began the first “buy American” campaign. But, the English beer was the inspiration behind his recipe for “Small Beer”. The photograph is of his recipe hand-written by George himself. At Olde Bedford Brewing Company, we recognize the importance General Washington made on our country, our town of Bedford, and our love of beer. We will do our best to honor his legacy. We will also work to formulate our own version of his porter and make it available to our patrons.